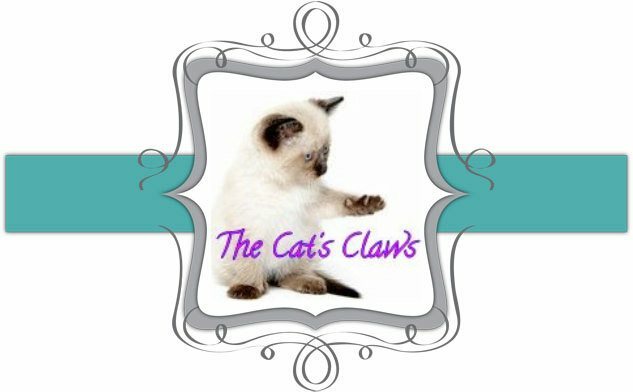 The Cat's Claws: Mermaid Bling! Yes I've ventured into the world of bling! As if my mani's weren't out there enough I've now gone down the road of further embellishment! I picked up more than a few bags of glass crystals and assorted pearls for about $10 along with a wax pencil for picking up the small blighters from eBay. This was my first attempt and I've only done one accent nail on each hand. 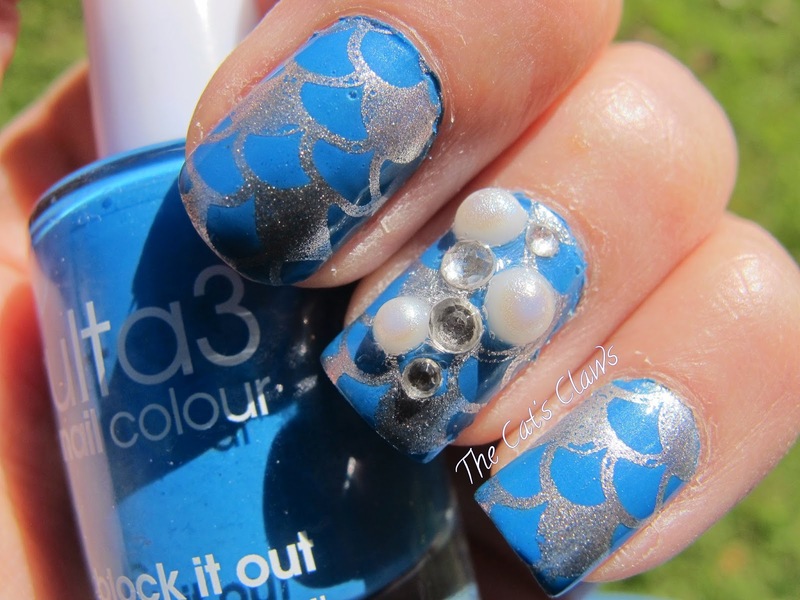 On to my mani then, Ulta3 Block It Out, stamped with my favourite silver Cult Nails Lethal using MoYou London Sailor Collection 05 to give a lovely mermaid scale effect. 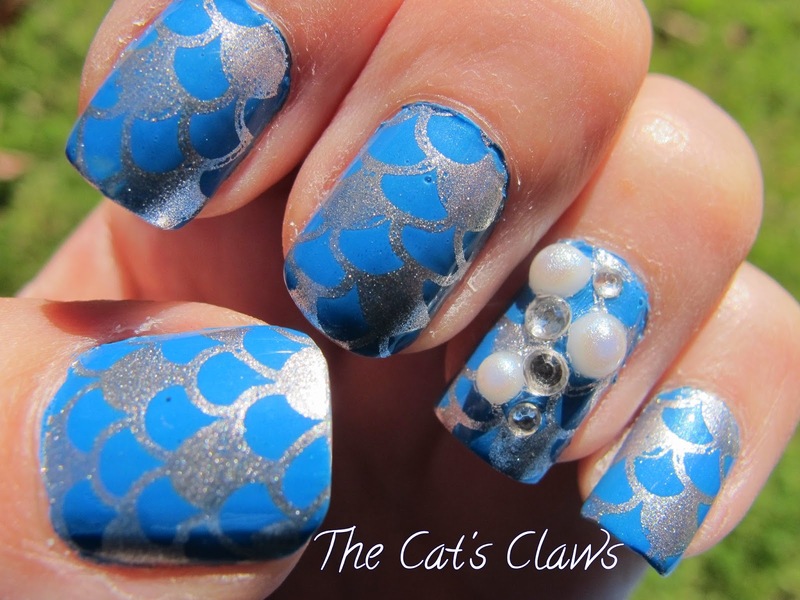 I then used an ordinary slow drying top coat on my accent nail and carefully placed my crystals and pearls in haphazard random order! I then top coated everything with Seche Vite. This took some of the beauty away form the pearls but didn't effect the glass crystals at all. I'm still wearing this mani now and am loathe to take it off, its just so much fun. What has been your most outrageous comment concerning your mani?